Edward Snowden, the former CIA employee who admitted being the source that leaked top secret documents about US surveillance programmes, is unlikely to get asylum in Russia, experts say. Shortly before arriving in Hong Kong, the whistleblower said he had a list of countries he was considering, including Iceland. Dmitry Peskov, the spokesman for Russian President Vladimir Putin, says Russia is ready to consider providing Edward Snowden with political asylum. “If we receive such a request, we will consider it,” the Kommersant daily newspaper quoted Peskov as saying. But Igor Istomin, staff member of the European Studies Institute at the Moscow State Institute of International Relations, believes it is unlikely that Russia will grant Snowden political asylum. “Under the current circumstances, it is highly unlikely that Mr Snowden will actually ask for asylum in Russia. As the unfavorable public image of Russia is still widely present in the US and other Western countries, this move could seriously weaken his argument and will produce all sorts of accusations against him,” Istomin told The BRICS Post. Istomin says it is likely Peskov is aware of these obstacles. “His [Peskov’s] announcement could rather be seen more as a reflection of Russian attitude towards leaks [and whistleblowers], than as a preface to some practical steps in support of Snowden,” Istomin added. Mark Sleboda, a senior lecturer and researcher of international relations and security at the Centre for Conservative Studies at Moscow State University, agrees. He believes it is doubtful that Snowden would even accept an offer of Russian asylum because he is looking for a country that possesses to some degree his notion of Internet freedom and privacy. 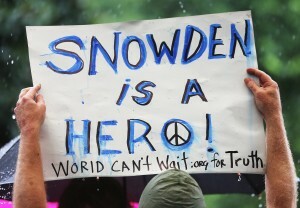 “Russia is not the US, but it is not that country [that Snowden is seeking] either. The Russian government of course knows this, therefore its tentative offer to consider asylum for Snowden must be seen simply as a not-undeserved tweak at the US’s expenses,” Sleboda says. However, in the small possibility that Snowden does arrive in Russia, Moscow’s next step could influence its relations with Washington. “Current Russia-US relations suffer from the lack of substance and this means that political rhetoric and other symbolic moves come to the forefront. As the risks are low, both countries could afford to tease each other without major consequences,” Istomin said. Snowden last week handed National Security Agency documents to The Guardian and Washington Post detailing how phone and computer information had been gathered on millions of Americans since the 2001 Patriot Act was passed. “I’m willing to sacrifice all that because I can’t in good conscience allow the US government to destroy privacy, Internet freedom and basic liberties for people all around the world with this massive surveillance machine they’re secretly building,” he told The Guardian on June 8. The US Justice Department is currently preparing charges and working on extradition procedures while the FBI says it is searching for Snowden. Veronika Krasheninnikova, director-general of the Moscow-based Institute for Foreign Policy Research and Initiatives, believes that providing political asylum to Snowden would send an important message that Russia defends universal human rights. “The Obama administration has been recklessly endangering lives and abusing the rights of its own soldiers, diplomats and citizens. US contempt for its own laws and values has once again been put in the spotlight by the courageous and principled stance of one true American citizen,” Krasheninnikova told The BRICS Post. Sleboda, however, thinks Russia hardly has a moral advantage when it comes to Internet espionage. “It would be hypocritical to pretend that the Russian state is substantially less involved in monitoring its citizens or engaged in similar overseas Internet espionage,” Sleboda says. The System for Operative Investigative Activities (SORM) is a Russian Internet surveillance system operating under legislation that is similar to the American PRISM and FISA surveillance and monitoring programmes. On June 12, Snowden told The South China Morning Post that he was staying in Hong Kong “not to hide from justice”. “I am here to reveal criminality,” he said. Russia and USA are two different countries. There actually is a Russian people. USA is full of rich and powerful people who would love to retire in Ireland on a farm or move to Dubai for business. The common people of USA are the only ones stupid enough to believe in American pride. Unlike Russia the entire culture of USA is a bunch of corporate franchises. When the rich and powerful are internationalists how can anyone be stupid enough to trust them with a program like PRISM? They’re not going to use it for the benefit of the common American if they don’t really believe in America.